Amy Nelson Hannon is a preacher's wife who lives in Springdale, Arkansas in the heart of the Ozark Mountains. She is married to her college sweetheart who is still the funniest boy in the world. Her three greatest gifts came packaged as Grace, Luke, and Isaac. In May 2014, after almost 13 years as a wedding stationer, Amy pursued her dream of opening a kitchen boutique in her grandmother's name. Because like Euna Mae (pronounced 'yoo-na'), Amy loves to be in her kitchen making food for those she loves. Amy finds joy in the feel of biscuit dough or cold pie crust in her hands. She is filled by the laughter that bellows around a dinner table and the stories that are told after the plates are pushed away. Amy's kitchen is a collection of heirloom and timeless pieces that she swears make her food taste a little better. And she can squeal about recipes, family, and dishware all day long. 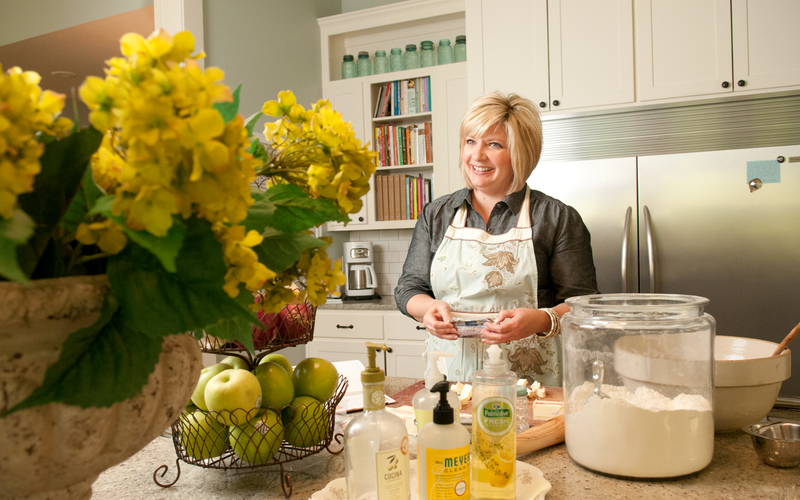 Shortly after opening Euna Mae's, Amy was hired by Northwest Arkansas' NBC affiliate to host a cooking show, having filmed 160 episodes over two seasons. She also authored a comfort food cookbook titled Love Welcome Serve (Center Street | November 2017) with hopes of encouraging and equipping you to make and share food with your people. Amy wishes she knew how to quilt, is a spirited football fan, and can't help but bake an apple pie on the first crisp day of Autumn.